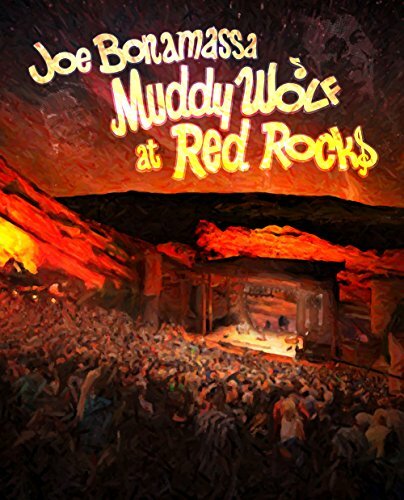 With the live event 'Muddy Wolf At Red Rocks' paid tribute to Joe Bonamassa the two blues legends Muddy Waters and Howlin' Wolf tribute. The exclusive concert was played and recorded on Labor Day weekend 2014 spectacular Red Rocks Amphitheatre. Joe Bonamassa played with his musicians ever, a 30-minute set from the work of Howlin 'Wolf and Muddy Waters, and half an hour from his own repertoire. The band of this event were Anton Fig (drums), Michael Rhodes (bass), Reese Wynans (piano, Hammond organ), Lee Thornburg (trumpet, horn arrangements), Ron Dziubla (saxophone), Nick Lane (trumpet), Mike Henderson (harmonica) and Kirk Fletcher (guitar).